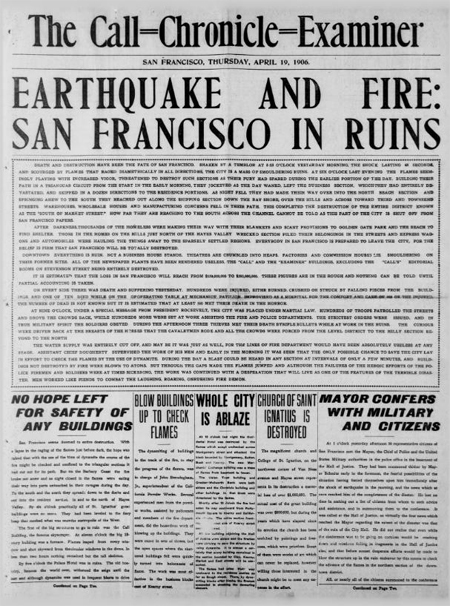 Today in History–April 18–the Library of Congress features the 1906 San Francisco earthquake, which shook the city early on this morning more than a century ago. The 8.3 magnitude (Richter Scale) earthquake and a subsequent fire leveled a large portion of the city and killed thousands. Find out more by visiting the Today in History section, then follow the links below to access primary sources about this tragic event and the city of San Francisco.